One of the best things you can do for your rehabbing career is learn how to accurately estimate repairs. You’ll maximize your profits, find more opportunity, and have peace of mind. As you gain experience, you’ll not only become more precise, but you’ll get faster at it as well. And this kind of speed is useful, as it allows you to analyze more properties, get offers in sooner, and choose the best projects. Experienced investors can walk through a single-family house and come up with a rough rehab estimate within 20 minutes. They’ve learned to quickly spot issues and have done enough projects to know at a glance how much a typical kitchen remodel or 10 window replacements will cost, for example. If they see potential during the initial walk-through, investors usually spend additional time looking more closely at the property and taking notes and photos. After that, it’s always a good idea to bring a contractor in to hone the numbers and bring a professional’s eye to the project. You can go about this in different ways. Some investors will bring their contractor along for any showings, having narrowed the list down prior to seeing a property in person. Many others will wait until they’re about to send in an offer, calling upon a contractor to double-check their figures and get another set of eyes on site. (This doesn’t have to take long, and can be same day or next day). Some investors will even submit an offer with the purchase contingent upon the contractor’s walk-through, much the way a typical real estate transaction includes an inspection. Whatever approach you take, the walk-through with a contractor is always useful — even vital if you are a newer investor. If you don’t have a contractor you use regularly, consider paying one for an hour of their time. Pro tip: do NOT ask a contractor to give you a free estimate on a property you don’t own yet. That’s like asking them to work for free, is disrespectful of their time, and could land you a bad reputation (not to mention a sub-part estimate). Don’t skimp on this step, either. 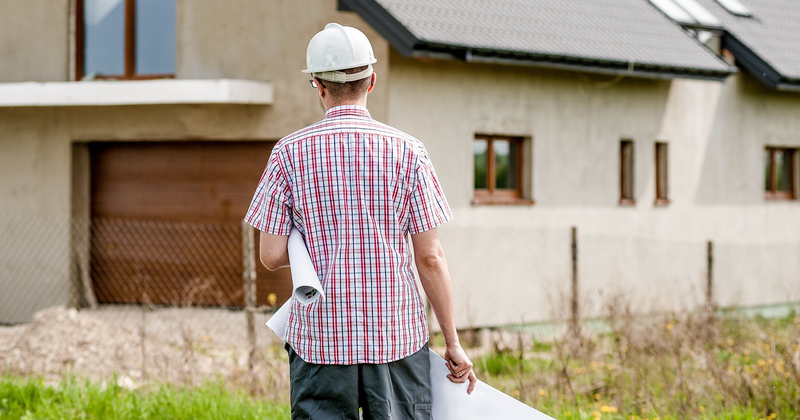 Paying a contractor to do a walk-through could save you thousands, whether it’s in your negotiations for the purchase or by keeping you from taking on a bad project. With this in mind, here are 5 key things you and your contractor should look for during a walk-through on a potential project. Electrical upgrades can get expensive, particularly if you need to bring in an electrician to do the work rather than a general contractor. So be as specific as possible here. The older a property, the more likely you are to run into fuses or even knob-and-tube wiring. And a lot of houses have endured years of DIY fixes that can be flat-out dangerous. If you’re not careful, you could be surprised by having to completely upgrade a property’s electrical system to bring it up to code. That could be fairly simple, or it could run you thousands of dollars. Check the breaker box to ensure that it’s at least 100 amps — 200 is often expected, particularly in bigger and/or pricier homes with greater power needs — and check the outlets. Typically, code requires that outlets be no more than 12 feet apart, and that no point on a wall be more than six feet from one. The idea is to reduce or eliminate the need for extension cords or other jerry-rigging. There are also codes specific to the type and number of outlets needed in kitchens and bathrooms as well as the exterior, so a professional eye is key. The roof comes under particular scrutiny when you sell the house, so make sure yours has plenty of life left. Potential buyers, and their agents, will check the exterior and spot check the roof even before setting foot inside. Roof repairs, replacements, or concessions are a popular ask during negotiations. Don’t be fooled by shiny parts. A homeowner can replace sections of the boiler to make it look newer than it is. Have an expert scope out the home’s heating system, and check whether the boiler was serviced regularly. When in doubt, factor in the cost of a replacement. Your end buyer will look closely, and you don’t want to get stuck with a $5,000 repair late in the game. As with the boiler, check whether the seller pumped and serviced a septic system regularly. You won’t necessarily have problems if it wasn’t, but it’s nice to have records. Septic is one of the “musts” for your due diligence. You need to be assured it’s working properly before purchasing the property, or else have any unknowns reflected in your purchase price. If you find yourself unexpectedly replacing leaching fields, you can almost guarantee you’ve lost any potential profit. Beware of water stains, whether you see them in the ceiling, near basement pipes, anywhere along walls, or in any other location. You’ll want to find out where the leak came from and verify whether it was properly repaired. Even if the leak was repaired, you may need to do more than spruce up the area. It doesn’t take long for mold to develop, so you may need to replace sheetrock and insulation. Foundation. Be wary of, though not freaked out by, cracks. This is one area where a professional eye is essential for determining the severity of a situation. Chimney. You can’t tell much without a full cleaning and inspection, but you can eyeball the condition of the bricks and the flashing. Code violations. These can range from electrical issues as mentioned above, to items like handrails and smoke detectors. Paint cover-ups. Popcorn paint is famous for being used to cover problems. Check for irregularities in the paint job, particularly with popcorn paint on the ceiling. The more properties you walk through and the more renovations you complete, the more natural the process becomes. You’ll find yourself able to quickly identify issues and practically create the draw schedule in your head. No matter how good you get, however, remember the saying “Measure twice, cut once”. That second or third set of eyes will always prove valuable, no matter how much of an expert you become.